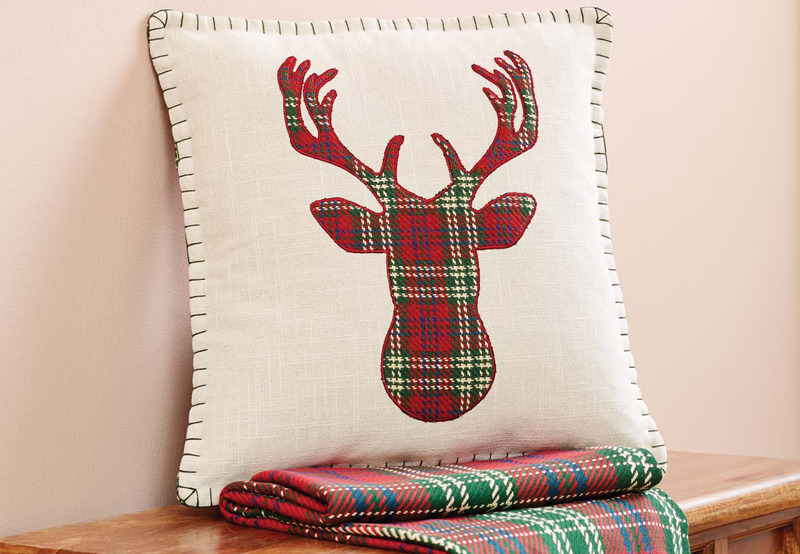 A whimsical pillow for your holiday decorating. Appliqued deer silhouette in woven plaid fabric and trimmed with an evergreen whip stitching. 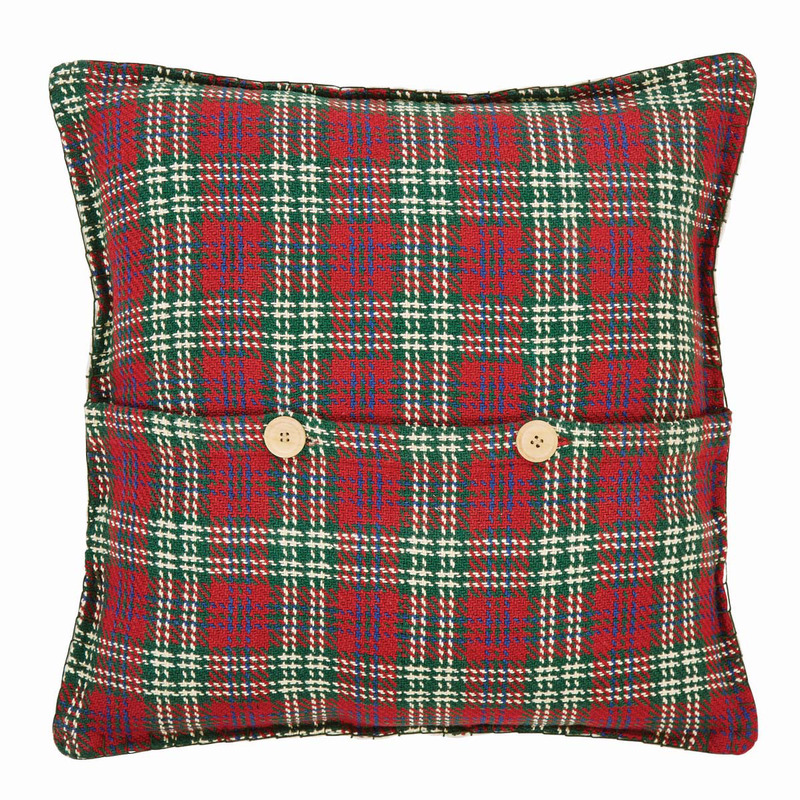 Reverses to a ruby, evergreen, royal blue, and eggshell woven plaid fabric.